To be a good pool duck, you must be ready to float in many conditions … there can be times it seems your beak will not stay above water. Do you think you are up for the challenge???? Alrighty then you ducks … pay attention! 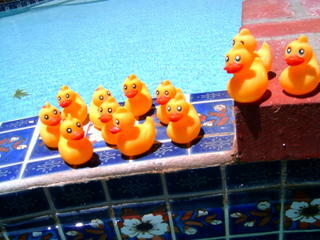 Being a pool duck is serious business. 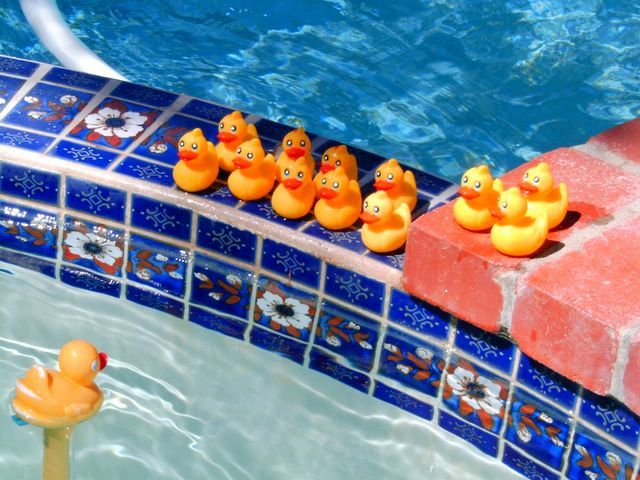 Work as a pool duck is rigorous. Intense training starts for the very small.